"That guy made the best of every single minute." Paramount Network has debuted an official trailer for a documentary titled I Am Paul Walker, about the late actor who died in a car crash in 2013. The feature-length documentary is the latest from filmmaker Adrian Buitenhuis, who also made the docs I Am Heath Ledger and I Am Sam Kinison previously. We're breaking our rule of not covering any TV, only because this is a film about an actor and it's still a real film though it's premiering on a TV network. The doc features appearances by Fast and Furious actor Tyrese Gibson and director Rob Cohen, director Wayne Kramer, family members Cody Walker, Caleb Walker, Ashlie Walker, Cheryl Walker, and Paul Walker III; Oakley Lehman, Dr. Michael Domeier, plus his manager Matt Luber. This looks like a very emotional remembrance. Father. Humanitarian. Friend. Walker's was a life fully lived, and his legacy of kindness and compassion continues to inspire others. Paul Walker passed away in November of 2013, in a car crash in Valencia, California. I Am Paul Walker is directed by filmmaker Adrian Buitenhuis, director of the documentaries I Am Heath Ledger, and I Am Sam Kinison previously, as well as producing work and other documentary projects. This has not premiered at any film festivals or otherwise yet. 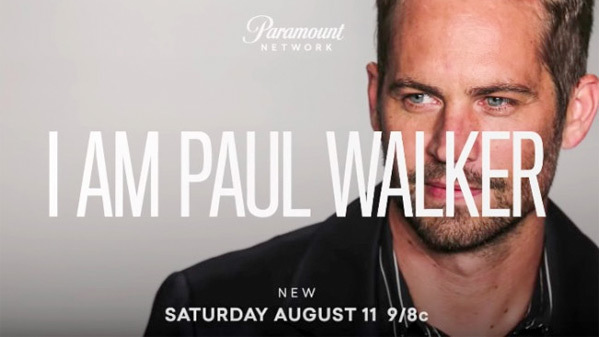 The Paramount Network will debut Buitenhuis' I Am Paul Walker doc on their channel starting on August 11th coming up. Anyone interested?